The great dream of democracy, like religious belief, can not be forced on anyone with guns, bombs, and missiles by outside forces. It must be chosen, and cultivated from within the individual growing from within a society comprised of educated individuals. Yet there is much profit to be gained when using guns, bombs, and missiles to advance agendas born of religious ideals. It is too easy to confuse profits with prophets. One of America’s largest exports is weapons and politicians funded by military industrial complex are often bent over serving the interests of their donors while cloaking policies of colonialism, and imperialism (see U.S. Companies Get Slice of Iraq’s Oil Pie) with the lofty ideals of “spreading democracy”. Is there a true desire for peace and religious freedom in The Middle East and is it represented anywhere in our current political landscape? Religion, economics, and politics set the stage for Israel to be well armed to the tune of $3.1 billion per year from American tax dollars with which they purchase much of their weapons from American companies. For many, nationalism and national interests have become the religion of today for both America and Israel while being presented as the dream of democracy. The good old “bait and switch”. There is a difference between critiquing state policies and participating in religious bigotry or anti-semitism but that line is often blurred. How do we untangle the two? “If Israel today is entitled to the covenant blessings spoken by the Old Testament, what about their covenant obligations? Ancient Israel was not supposed to have a standing army. They weren’t supposed to stockpile weapons. There were no taxes to fund a permanent military. Israel’s rulers were forbidden from amassing large numbers of horses (Deuteronomy 17:16-17)—which was about as close as you could get to an arms race in the ancient Near East. Israel’s king was not supposed to make foreign military alliances. God stipulated that Israel should remain militarily weak so they would learn to trust him for protection. Israel risks reducing its religiously backed moral standing by stooping to the level of the Hamas terrorists it fears. Killing innocent Palestinian children and civilians while wrapping the ongoing atrocity in a myriad of historic justifications can not work. Nor is their behavior justified by religious scriptures. Meanwhile, many Americans still invoke religion calling America a Christian nation while turning away starving refugee children at their border and supporting wars in The Middle East. This clearly contradicts Christian teachings proving that, for these people, nationalism is valued above the words of their own prophet, Jesus. Is it fair to throw out the baby with the bath water? Can we assume that a dream of democracy, a hope for peace, and a holy land where people can be safe from religious persecution is unattainable? Not at all. 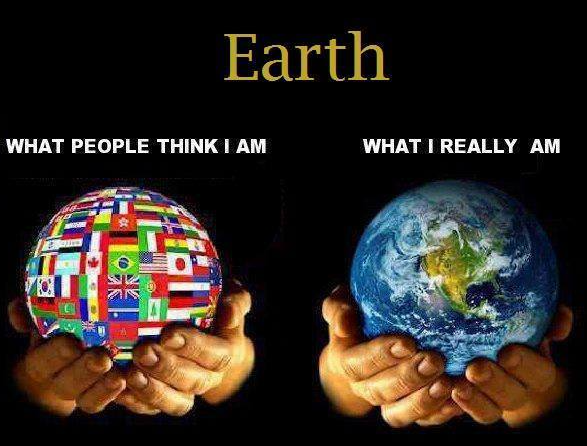 The answer, as always, is education and restoring a right relation to the stories that define our world view. The wisdom of the prophets is being ignored while real profits are being made through weapon sales by the co-opting of religious and democratic ideals to advance geo-political agendas. This will continue until the people remove the wool from their eyes and reclaim their own honorable place in history. With stockpiles of nuclear weapons all over the world, we can not afford to avoid a conversation about peace. Peace, reconciliation, atonement, respect, and forgiveness are central themes to all major spiritual and religious traditions. As we look back at 100 years since the first World War, let’s walk forward together and create a global culture of peace. Democracy is not spread with guns, bombs, and missiles, it is spread with good-will and it flourishes in a climate of peace, understanding, and diplomacy. Hatred and violence are the songs of ignorance, it’s time to change the tune. Become your own self-fulfilling prophecy by going within and becoming the peace you would like to see in the world. Then speak your truth to those in power and act on your higher conscience. Let love lead the discussion and may mutual respect prevail. This is a complex subject full of nuance. Please explore a globally synchronized celebration on The International Day of Peace coordinated by Unify.org on September 21 each year. Together we can banish ignorance. 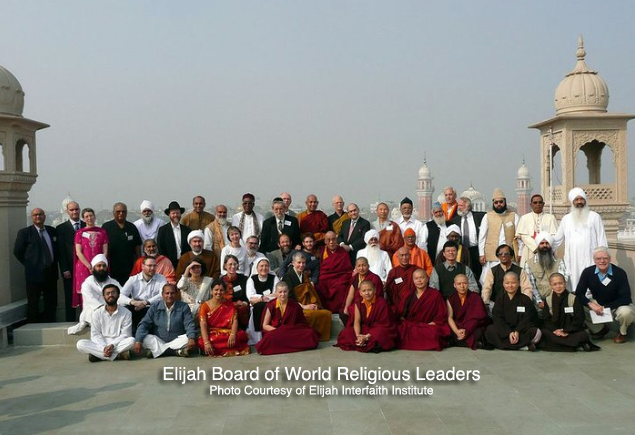 This article was compiled with the help of Rebecca Tobias of the United Religions Initiative, please visit their website to learn more about their work unifying people globally!